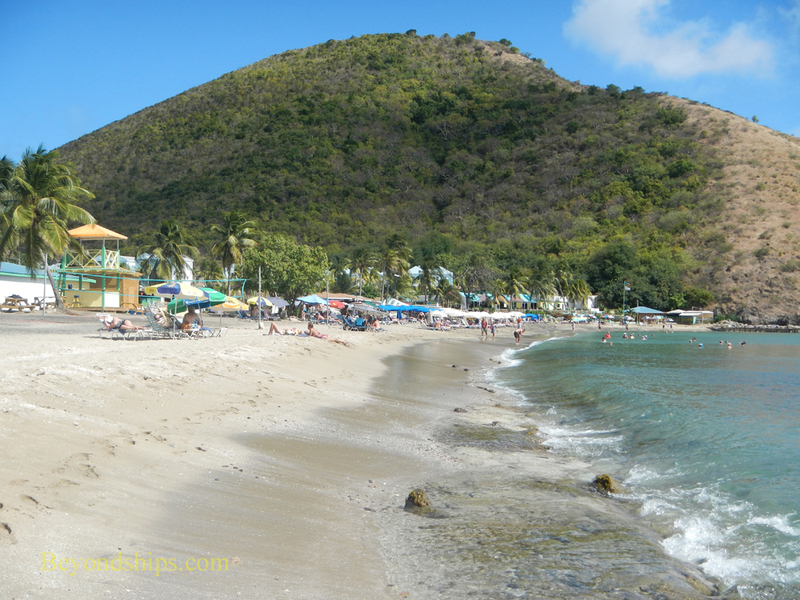 St. Kitts’ most popular beaches are located on or near the South East Peninsula. They are sometimes described as having “golden brown” sand. 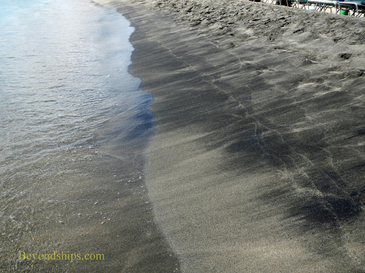 Beaches elsewhere on the island are mostly grey or black sand reflecting the volcanic origin of the island. The water on the Atlantic coast tends to be rougher than on the Caribbean coast (see photo above). 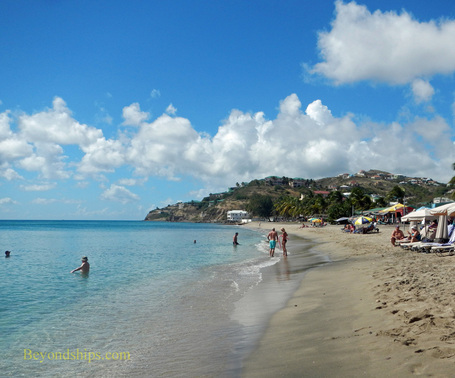 Two of the more renown beaches are South Friars Bay and nearby Frigate Bay South. Left and below left: The beach at Frigate Bay South. 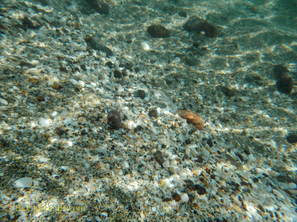 Below: The water at Frigate Bay South. Below right: The beach is a mix of brown and black sand. 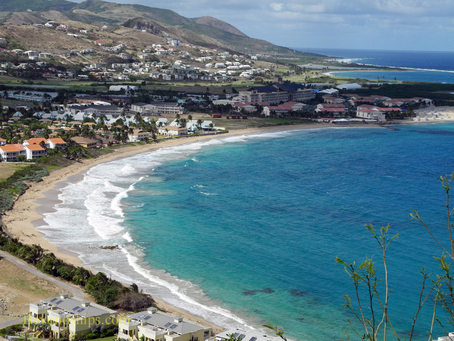 Located near the beaches at the southern end of the island is Timothy Hill, a steep peek from which there are panoramic views of the Frigate Bay area, St. Kitts' South East Peninsula, and the neighboring island of Nevis. 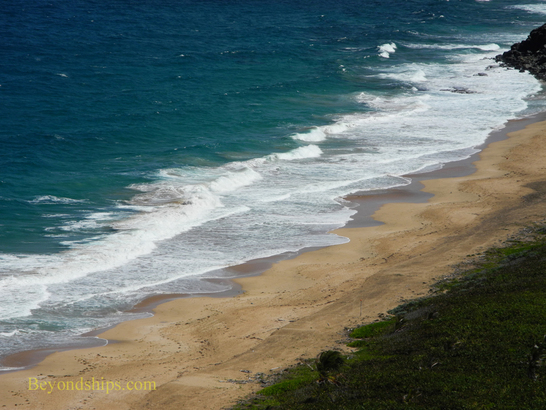 From the lookout area, you can see both the Atlantic and the Caribbean. The lookout is a very popular tour stop and can be quite crowded. Local vendors sell refreshments and souvenirs. Right: The view looking toward Frigate Bay North. 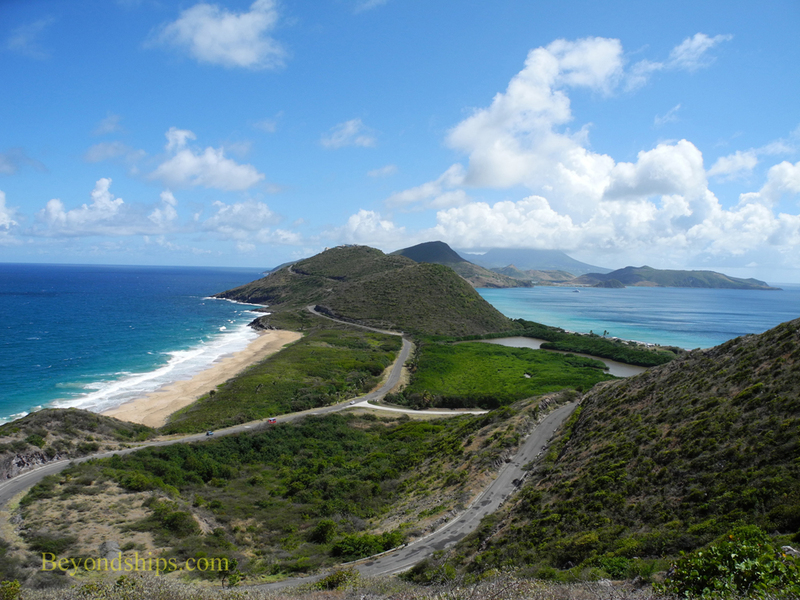 Below: Looking south at the South East peninsula with the island of Nevis in the distance.